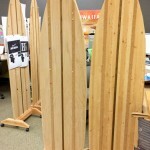 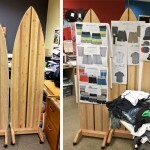 These eight boards were made for the Local Motion office. 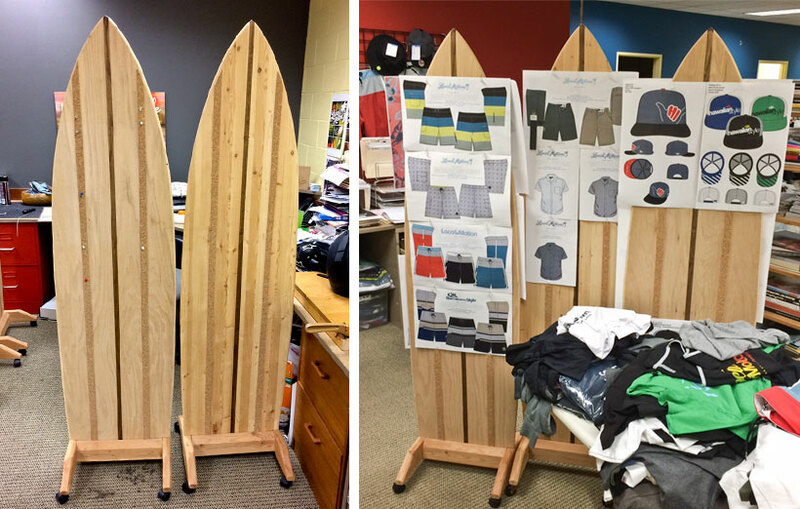 The graphics department uses them each season to pin up new designs and showcase them during weekly meetings. 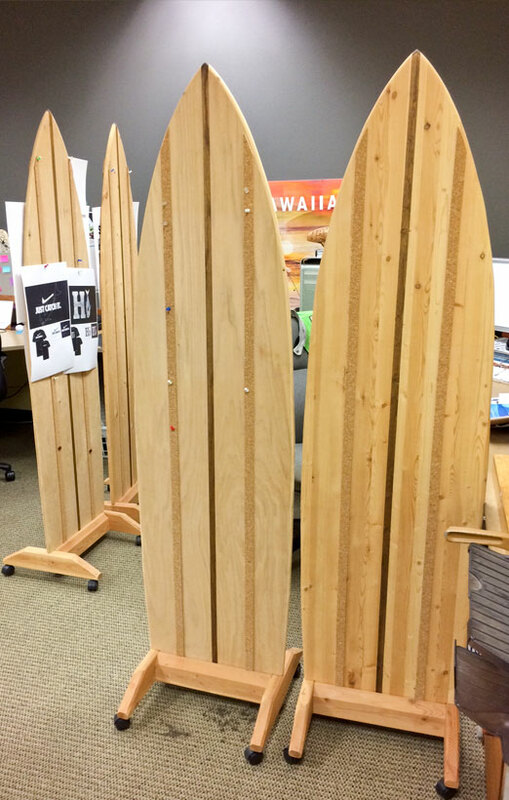 They are made of laminated pine and/or oak plywood, cork strips, faux stained “stringer,” pine bases and casters for easy moving.